Company News Archives - The Marketing Department, Inc.
We are excited to share that TMD has been honored by several award competitions for their work with companies in the fresh food and agriculture industries, including Ocean Mist Farms, Taylor Farms, the California Agriculture Leadership Foundation, Del Rey Avocado, Berry People, and Olinday Farms. Marc Metzer, a third-generation farmer of Metzer Farms, approached TMD with the idea of starting a new company that would focus on providing duck eggs to the foodservice and retail markets. From day one, TMD has been integral in establishing a strategy for the launch of Olinday Farms, allowing me to focus my time on developing relationships with my own customers. From our company name and logo design, to retail packaging and video production, the TMD team has brought nothing but positive attention to Olinday Farms and the values we stand for. Please see below for the full list of accolades. Winners of the 23rd Annual Communicator Awards have been announced. With over 6,000 entries from across the U.S. and around the world, our team is thrilled our work has been recognized on an international level. The Communicator Awards is the largest and most competitive awards program honoring creative excellence for communications professionals. On Jan. 27, the Monterey Bay Business Hall of Fame added 25-year ag veteran Nick Pasculli, founder, president and creative director for Salinas, CA-based TMD Creative, to its hallowed halls. Each year, Junior Achievement of Northern California honors business and community leaders from the Monterey Bay area who have established a legacy of excellence within their industries and created a significant impact on their communities. With that in mind, the selection committee found Pasculli to be a perfect fit, and he was among those who were honored in the Class of 2017. Pasculli has long been a big believer in the marriage of creativity and strategy, and tries each day to make a difference and help other organizations to be successful. Pasculli first learned of the honor when someone on the committee invited him for lunch, which he thought was simply a birthday get-together, and others from the Junior Achievement started to show up so he knew something was up. In Pasculli’s mind, the award was more for them than for himself, and that came out in his speech on the day he was presented with the award. At the luncheon, Pasculli was joined by his parents, spouse and children, his TMD family and many friends from around the industry. Bishops Garcia and Ryan from the Monterey Catholic Diocese were also on hand to share in his special day. When the Organic Produce Summit decided to hold its inaugural convention and exhibition in July 2016, organizers had a major challenge on their hands. Though the organic movement was as popular as ever, the event itself was virtually unknown. Not only did organizers have to introduce people to the expo, but they also had to appeal to a diverse audience ranging from organic purists to companies just beginning to walk the organic walk. To drum up excitement for the pioneering event, organizers turned to Salinas, Calif. marketing firm TMD Creative. “We had to come up with a strategy that would appeal to everyone,” says TMD Creative Founder Nicholas M. Pasculli. Their approach was as fresh and appealing as the industry they sought to describe. TMD is honored to have been recognized with a MarCom Platinum award in the integrated marketing campaign category for our work on the il Organic Produce Summit. The award garnered national recognition in top industry publications such as The Produce News and AndNowUKnow. The MarCom awards are given out by the Association of Marketing and Communication Professionals’ judges, who are composed of industry veterans from leading agencies and prominent companies and organizations throughout the United States. Numerous Fortune 500 companies and world-famous organizations have won these prestigious awards. This year, other Platinum winners in various categories included AIG, Bank of America, Bloomberg Media, Cisco, and The Smithsonian. The integrated campaign included print and ad design, copywriting, web design and programming, e-commerce, social media management, public relations, press releases, e-blasts, as well as designing and producing signage and branded promotional materials for the event. Competing against nearly 6,000 entries, TMD Creative’s work on the Organic Produce Summit stood out for its design, strategy, and execution. The success of the initial show was evident, with over 800 attendees and more than 70 exhibitors, turning the summit into a huge hit within the produce industry. The Organic Produce Summit is the first trade show solely dedicated to organic fresh produce, an industry approaching $15 billion a year. Next year’s summit is poised to be even bigger, as the show will move to the newly renovated Monterey Conference Center. TMD’s owner and president, Nick Pasculli said about the event, “When we were initially approached with this idea, it was a team of two people with a dream about putting on a first-of-its-kind trade show focused on organic produce. TMD is proud to have worked on not only the marketing aspect, but helping to build the foundation for this trade show from the ground up. The results have been spectacular, this award is the icing on the cake”. In addition to winning a Platinum MarCom award for the integrated marketing campaign for Organic Produce Summit, TMD was also proud to win Platinum MarCom awards for two annual reports. The awards were for their work on Hartnell College’s Report to the Community, and Dominican Hospital’s Impact Report 2016, which won in the Educational Institution and Medical categories respectively. Sunset Center – Classroom Connections from TMD on Vimeo. TMD Creative is very proud and excited to receive a 2016 Telly Award for our video production of “Sunset Center – Classroom Connections”. Here at TMD Creative, we hold ourselves to a very high standard, always striving to make every project we work on worthy of an award. This standard of quality, in partnership with our clients, has led to many awards for TMD Creative. When we are honored with an award like a Telly Award, it not only reflects on our commitment to excellence, but also reflects on the hard work of our clients. In the case of Sunset Center’s “Classroom Connections” program, underserved elementary children are exposed to the creative arts, sometimes for the first time. Schools continue to make drastic cuts to creative arts programs. We know first-hand how important the “Classroom Connections” program is to our community. 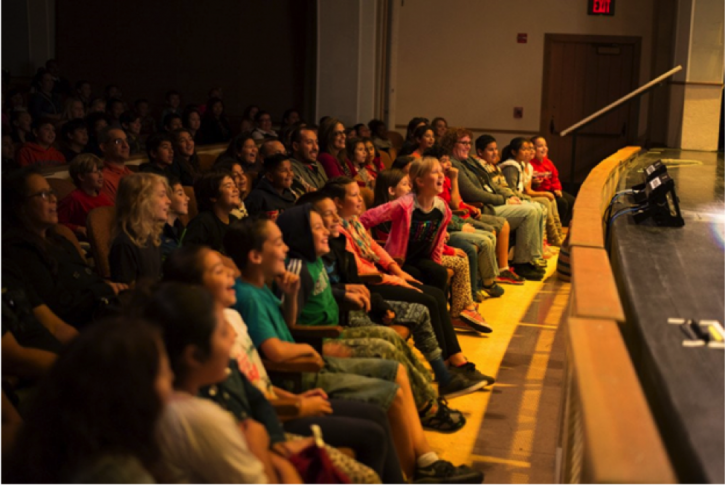 The program starts in the classroom, where the kids get introduced to stage performers and what they do, and then ends with the students experiencing stage performances at Sunset Center. “Classroom Connections” is truly a special program, and we at TMD creative are very thankful to have had the opportunity to collaborate with Sunset Center on the creation of this promotional video. From design to event coordination, TMD Creative has been involved with the Sunset Center for many years. Our connection to our community affords us the opportunity to discover great stories. With Sunset Center, we discovered their “Classroom Connections” program. As in many cases, it all starts with a conversation. Sam Spadoni, project manager for the video, met with the marketing coordinator at Sunset Center and explained what TMD Creative was all about. Shortly after the meeting, Sunset Center informed Sam that they needed a promotional video. TMD Creative was an obvious choice to meet that need. TMD Creative believes in making a positive impact on our community and this core value aligned with Sunset Center’s mission. Filming the children’s reactions to the program, and interviewing the heroic people behind the program, such as, Christine, Alex, and Abby, was instrumental in the success of the video production. After we shot the footage and collected the elements we needed, we began the editing process. TMD Creative has a well-established team that collaborates on every project to ensure our high standards are met. We are also very inclusive with our clients and make customer service a top priority. The final product was then submitted to the Sunset Center. 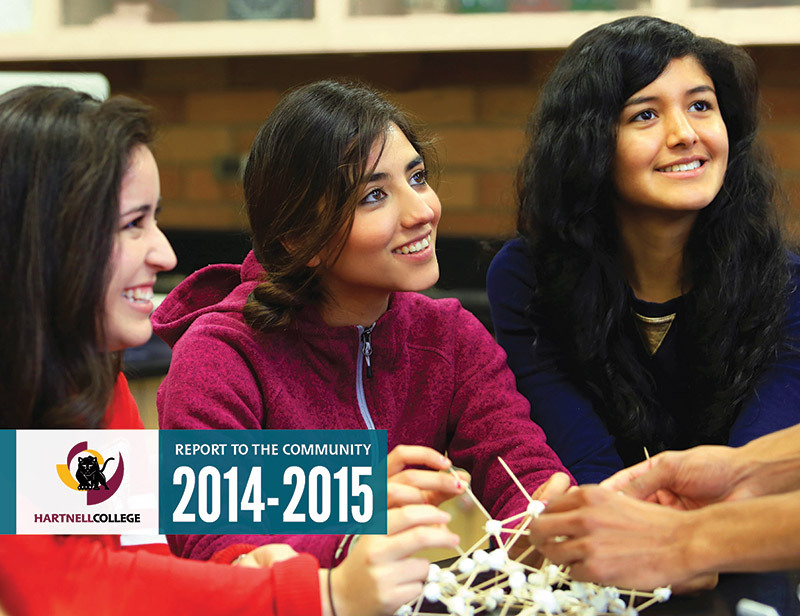 Sunset Center is one of many non-profits TMD Creative has had the privilege to work with. We always enjoy collaborating with non-profits that make a real positive impact on our community. TMD Creative has been involved with non-profits since the day the company was founded. We have donated well over 1.7 million in pro-bono work and in direct cash donations. Here at TMD Creative, we’ve believed in giving back since day one. “Classroom Connections” goes well beyond entertainment. The real purpose of the program is to give underserved children the opportunity to be inspired. Children need to see examples of success and examples of overcoming obstacles. Many of the stage performers have inspirational background stories that prove how powerful art can be in peoples’ lives. Through this program, the children are also able to witness the power of imagination and creativity. TMD Creative is no stranger to imagination and creativity. Jeff Meza, the producer of “Sunset Center – Classroom Connections”, grew up with a love and passion for the creative arts. Sam Spadoni, project manager, was involved in plays and saw performances at Sunset Center when he was a child. Nicholas Pasculli, founder, president and creative director, has been involved in the creative arts his whole life. Nick has performed in choir, band, orchestra, and theater. In college, he studied journalism and commercial art. He graduated from CSU Fresno with a degree in marketing and earned his master’s degree from Loyola New Orleans. Early on, Nick recognized the connection between creative arts and marketing. His skills in creative thinking, sales, and presentation have given him a distinct advantage in his career. Not only has creative arts assisted him with his profession, but they have given him a passion for what he does. He has taken his passion for creative arts and marketing and created a dynamic company that serves his community well. TMD Creative believes that creative arts play a key role in creativity, innovation, and a passion for life. Creative arts are what we do and what we are about. TMD Creative communicates messages with value. Every project we work on tells a story, provides value, and improves awareness. Our clients want to share a vision. That’s what TMD Creative does: we create the vehicle that communicates a vision. We want to tell stories that inspire people to act. In the case of Sunset Center, the action is to donate or volunteer. Other messages could be used to expand a customer base, or inspire customers to buy a product or service. No matter what the motive behind the message is, TMD Creative wants our clients and their customers to feel good about what they do. Does your business or non-profit have a message to share? If so, feel free to reach out to us so we can help bring your ideas to fruition. How do you tell the story of fresh produce? The “farm-to-table” movement is far from over; millions of Americans care now more than ever about where their food comes from and whether their produce is organic. Here at TMD Creative, we are dedicated to telling the story of produce, and have been doing so since 1999. 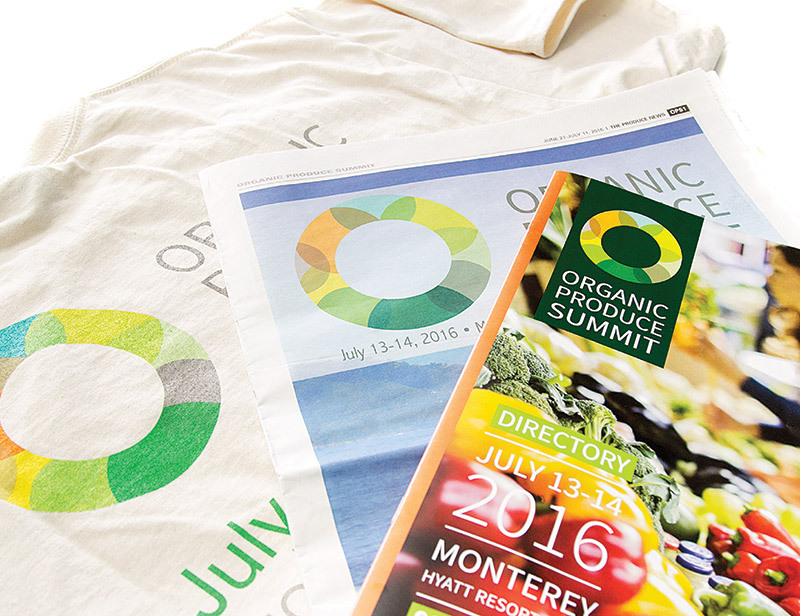 So it was natural for us to be extremely excited to work with the Organic Produce Summit in marketing the inaugural convention and exhibition that debuted on July 13th and 14th at the Hyatt Regency in Monterey. As the event’s first strategic marketing partner, we led the development and execution of a dynamic marketing campaign that resulted in the show selling out in its introductory year, with attendance from retailers, buyers, and growers/shippers from across North America. TMD Creative prides itself in innovative, custom, in-house marketing services. From start to finish, TMD Creative believes in collaborating closely with our clients to insure customer satisfaction and the best marketing results. From website programming and design to social media and public relations, our TMD team collaborated closely with the OPS event staff in executing a well-designed, comprehensive marketing plan. For the first time ever, retailers and buyers were able to network and convene on important issues and opportunities in the organic fresh produce industry. TMD Creative was approached in the spring of 2015 about assisting in developing the strategy and messaging for the first of its kind summit devoted strictly to organic produce. As a team we were surprised to hear that organic produce, a stand-alone 14 billion dollar industry, did not have a trade show focusing on it. We were instantly excited about the possibility of being a part of this and signed on shortly thereafter. A group composed of executive produce industry veterans, including TMD’s own Nicholas Pasculli, worked with team at TMD Creative to bring this idea to reality. TMD Creative was there every step of the way, in developing not only the strategy, but bringing on key team members to oversee production and management of the show, accommodations, logistics, and planning. Our first strategic priority was to drum up support with retailers, and to sign-on exciting keynote speakers and panelists to take part in Ted-Style Talks. We reached out to the retailers with a coordinated series of e-blasts, individual emails, and phone calls to high volume retailers that had high organic sales. We assisted in developing the Ted-Style talk format for the show. Once we had a firm foundation there we began working on the branding, including the logo, which was to be the center-piece of the marketing efforts. Initially 12 logos were designed. It was narrowed down to four, then two, and finally one, with varying revisions throughout. Once the logo was designed, we began to create e-blasts, print ads, web ads, collateral, and the website. The e-blasts were customized for retailers, registrants, and exhibitors using the OPS Logo along with colors that complemented the logo and were a part of the color palette. The ads were run in produce industry newspapers and magazines, and were designed in a variety of sizes, with accompanying web ads. The goals of the e-blasts and of the ads were to both drum up support and interest in the event, while also conveying the limited amount of availability and time left to the event. The website was custom built with the ability to register as a retailer, or to register as a grower or someone in supporting industry. This distinction was important, as there were different pricing mechanisms in place. There was also tiered pricing in each level that allowed for discount for multiple purchases. Anyone who registered on the site also received a confirmation email. Exhibitors were also able to register to have a 10 x 10 booth at the event. The registrations and the exhibits quickly sold out. We then started to focus on materials for the show, which included, but were definitely not limited to, badges, custom gifts, event program, all show signage, registration areas, audio/visual, site walkthroughs, recognizing sponsors, PowerPoint presentations, post-event survey, and thank you ads for the sponsors and attendees to run after the event in industry publications. Everyone at TMD Creative was putting in long-hours the weeks leading up to the show. All of the hard work paid off. There was an opening reception on Wednesday, July 13th, with the main event on Thursday, July 14th 2016. Held at the Hyatt Conference Center in Monterey, there were over 75 exhibits, 800+ attendees, including growers and representatives of the world’s largest retailers, and a full days-worth of speakers, presentations, and trade show exhibits. The show was a rousing success, and the feedback thus far has been nothing short of amazing. Details are already being finalized for the 2017 Organic Produce Summit. Are you considering putting on a trade show or large event? Remember to keep TMD Creative in mind! Winners of the 22nd Annual Communicator Awards have been announced. With over 6,000 entries from across the U.S. and around the world, our TMD Creative team is excited to be taking home four Communicator Awards for our work on two websites, an annual report and a branding campaign. The Communicator Awards is the largest and most competitive awards program honoring creative excellence for communications professionals. The new D’Arrigo Bros. Co. of New York website — darrigony.com — has plenty of information about this wholesaler located on the Hunt’s Point Produce Market in the Bronx, NY. It also contains history and old photos about the well-known D’Arrigo family, which got into the fresh produce industry back in the 1920s and is known for its “Andy Boy” brand of broccoli rabe and other fresh vegetables. 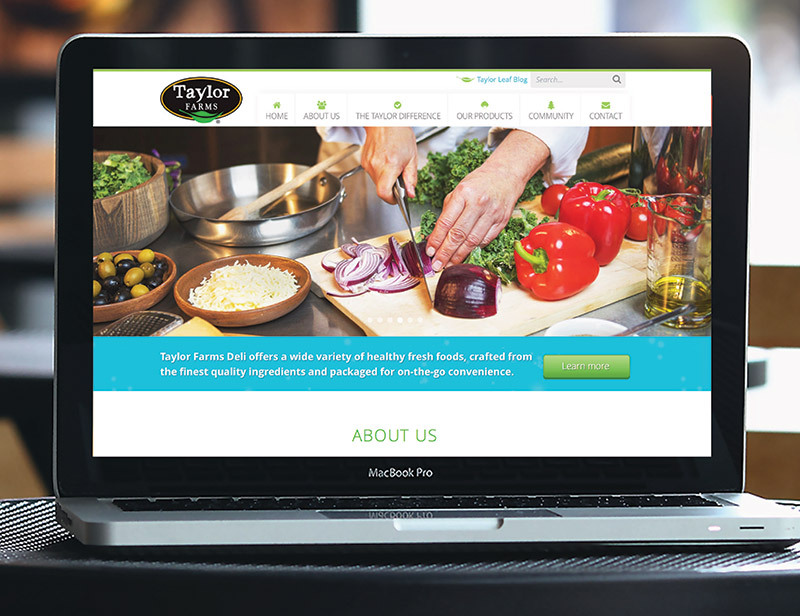 Nick Pasculli, president and creative director of Salinas, CA-based TMD, began working with Matthew D’Arrigo, president, and Gabriela D’Arrigo, marketing director of D’Arrigo Bros. Co. of New York, last July to redesign the produce company’s website. It went live this April.